Save the date for the ski swap of the year! You can find bargains on new and used ski and snowboard equipment and clothes, while supporting the Davis High School ski team! Go to: www.myconsignmentsale.com/dhsskiswap. To make it quick and easy, print tags from home and attach to your items. Bring your items to the DHS gym on Saturday, November 10, from 4-8pm or Sunday, November 11, from 7:30-8:30am. 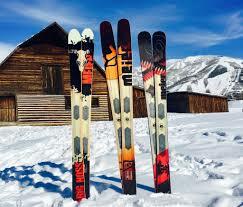 You will receive 80% of the sale price of anything sold, and the DHS ski team will receive 20%. Donations will be accepted with gratitude!